Let’s take flight for adventure! Enter the word of make believe! A world of dragon trainers, and conquering foreign lands. This digital scrapbooking kit is versatile and can be used to scrap trips to foreign lands, renaissance festivals, and boy and girl pages alike. 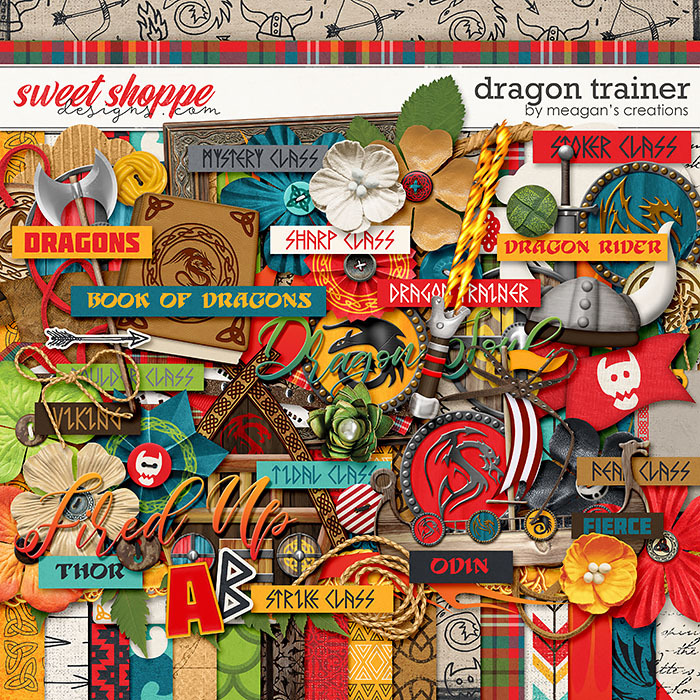 Dragon Trainer by Meagan’s Creations available at Sweet Shoppe and 40% off February 1st-5th. Buy the bundle and save!